Great for the kitchen, bathroom or garden shed. 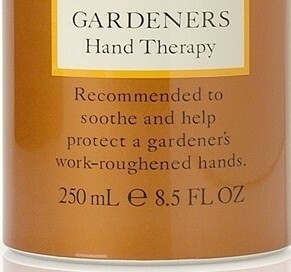 Nutrient-rich shea butter helps nourish and condition work-roughened hands. 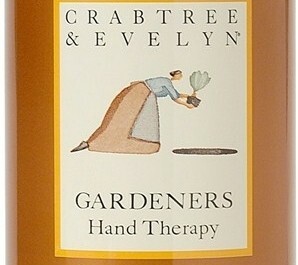 Fragranced with fresh green clover, lavender, sage rosemary and thyme, our Hand Therapy soothes and restores even the driest of hands. Fragrance: Fresh green clover, lavender, sage, rosemary and thyme. 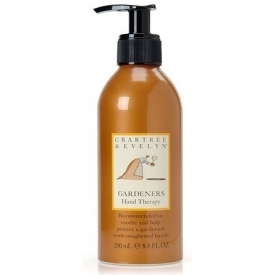 This is a much more intensive product that most hand creams and that shows in the price. It's very good but for the price it's probably a little mild in action (you get the feeling that you need to use it a few times a day). It has a slight medicinal scent which is still very nice but a little off putting when you first use it. Absortion is very good which is slightly surprising as the texture is greasy. Overall a nice product but a little pricy.